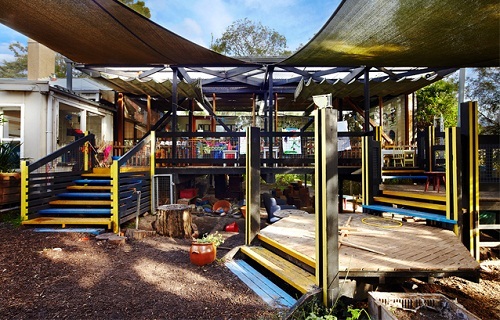 The "progressive educational principles" of AS Neil, Montessori and Reggio Emilia that view the child as a competent and able decision maker inspired the young architect/parent Kevin Borland, who undertook the responsibility of designing the school hall. 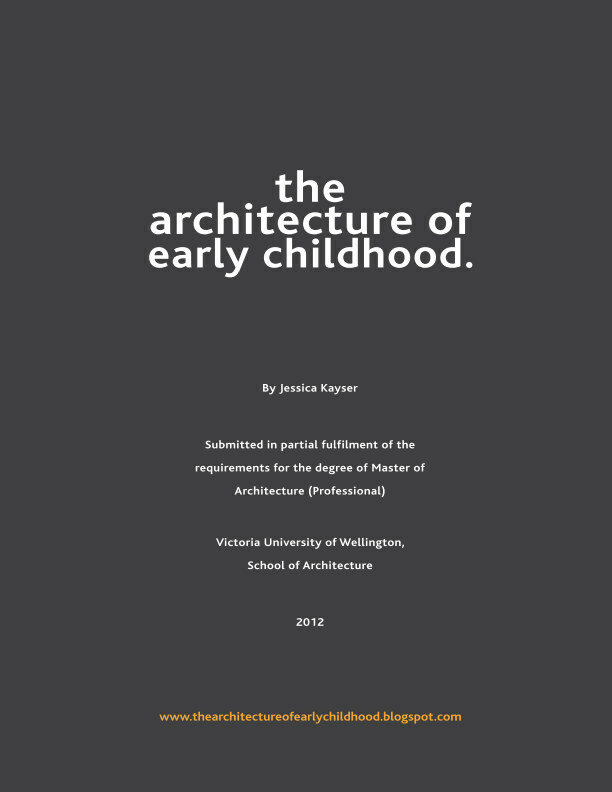 Borland viewed the children as clients and active generators of the program and resulting form, and watched the children at play in the school to determine how the architecture might respond. He also listened to the children's thoughts and ideas. For example where the adults wanted the new school hall to be at the front of the site (as they were concerned with the school's image), the children emotionally invested in the garden pleaded for the building to be located at the back. 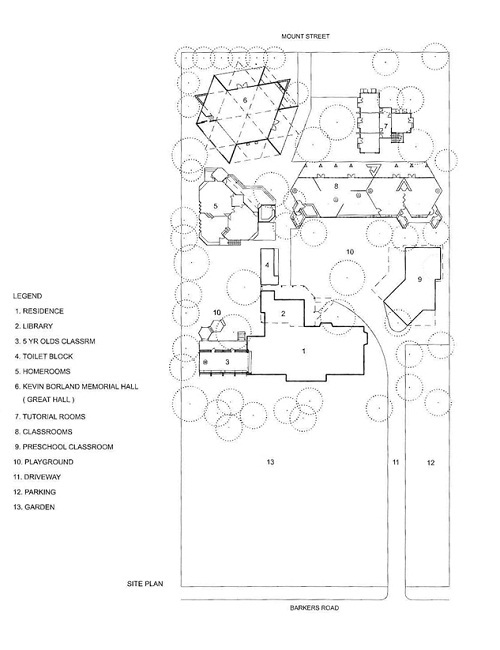 After much collaboration and negotiation, another design was born - a star-shaped hall in the rear corner of the site. The children play an even more active role in constructing their school environment. 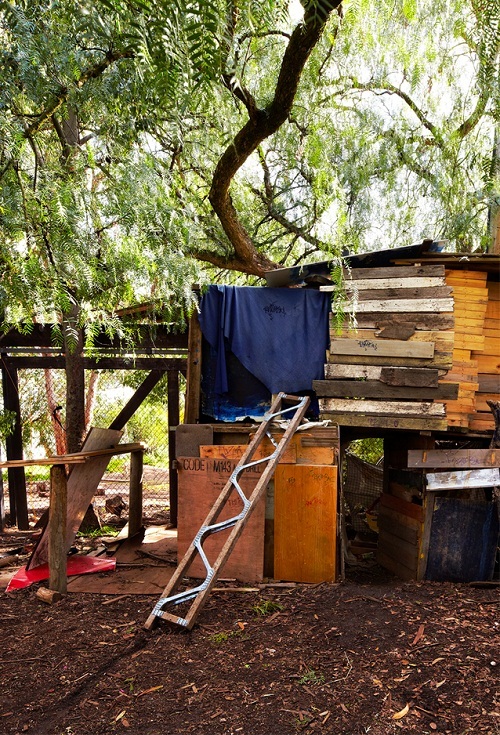 Like the adventure schools in war-time Europe, they were allowed to test their creativity and capabilities - constructing huts and play structures. Branches, boards and sheets of ply are used in a continuous process of construction and then demolition. Thus the children take an active role in their education, in turn developing a responsibility for their actions and ultimately their future. Rather than being told what to think, they are taught how to think. Instead of conformity, the school celebrates the individuality of each child, allowing them to learn about themselves and uncover their own potential. 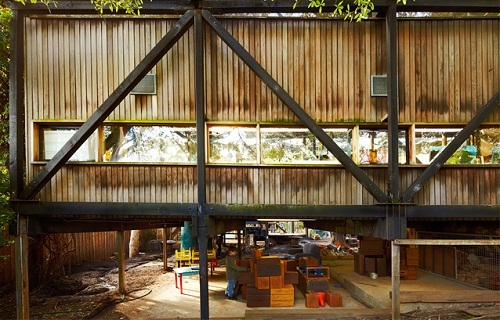 The building's of the school were perceived as offering extended opportunities for play and learning. 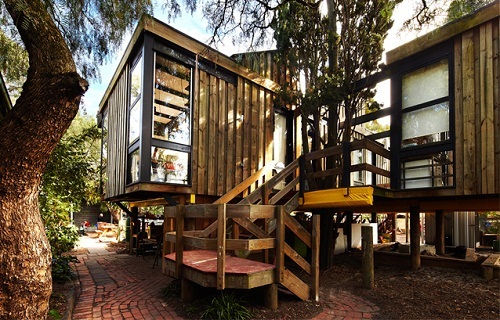 Thus the external stairs becomes a ships prow, while a mezzanine accessible only by ladder and hardly big enough to stand up in makes a secret place connected to the classroom and yet apart from the general flow of activity. Much learning takes place outside of the classroom - not just in the designated playground, but under buildings, in trees, among the gardens and the many nooks and crannies within the grounds. In contrast with the school's tradition of surveillance - where children are not permitted to go where they cannot be seen. 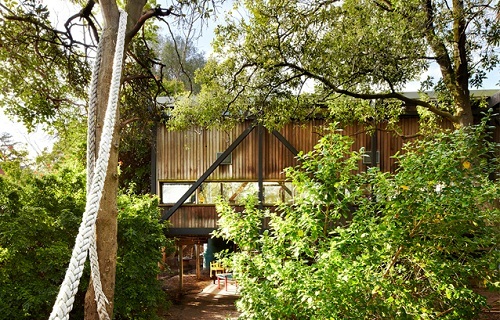 Spaces, both inside and out are designed from a child's perspective - creating places to hide while collecting dust and dirt. Today, many of the school's principles are again becoming celebrated - the school becoming a hallmark of brave innovative and progressive modernism. The school, like Italy's Reggio Emilia schools is perceived as a tool for learning, while landscaped gardens, natural materials and the promotion of active and explorative play are again popular themes in school design - with concerns on health, sustainability at the fore. 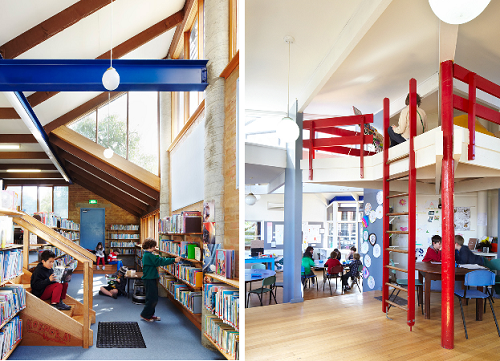 Via Design Observer, Australian Design Review, Which School? and Habitus Living.